Who did Fox Sports West name the Offensive Player of the Year? Did Josh Rosen hold on to the top QB position, or was he overthrown? See the full All CIF-SS Team here! As part of our effort to ensure users have the best high school sports coverage, we are sharing articles from the media partners who use ScoreStream for their local youth sports coverage. Make sure to follow Fox Sports West (Twitter- @FoxSportsWest) as they provide the most in-depth, exciting coverage for high school sports. The season isn’t over, but that doesn’t mean it’s not a perfect time to show off the best moments of the year! Share your favorite moments on the app and we will share our favorite pictures! To see the moments that Fox Sports West selected as the best, go here! 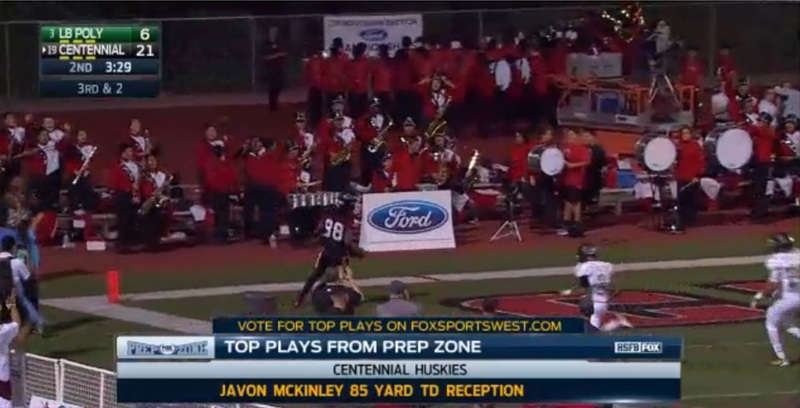 Our partners at Fox Sports West captured the top plays from Friday night California high school football as they were happening. While ScoreStream was capturing the real-time scores, Fox Sports West was collecting great plays from the intense matchups that were happening. These include Ricky Town (@RickyTownQB) from St. Bonaventure Seraphs (@StBonnieSports) 67 game-winning touchdown pass to Ladell Atkins (@The_Main_Homie), Devonte Hale from Riverside Poly Bears (@PolyFootball) 32-yard game winning touchdown run, Josh Rosen (@Josh3Rosen) from St. John Bosco Braves (@BoscoFootball) go-ahead touchdown run, Khalil Tate (@KhalilDTN) from Serra Cavaliers (@SerraCavaliers) 43-yard touchdown run, and JJ Taylor (@21taylor04) from Centennial Huskies (@Cen10HS) 26-yard touchdown run. To see the Fox Sports West top plays, click here. 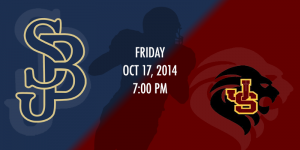 With a huge matchup coming up tonight, us football fanatics at ScoreStream wanted to take a deeper look at why the St. John Bosco at JSerra Catholic matchup is so special. On the surface it’s easy to see why this is exciting: St. John Bosco is near the top of every national rankings (including 5th on our ScoreStream ranks, 8th in USA Today Super 25, and 1st in Fox Sports West CIF-SS rankings) and JSerra is off to its second 6-0 start in team history. JSerra is on the cusp on national rankings and after an impressive win against Santa Margarita last week where they had to put up 21 in the 4th quarter to win, it is clear they will give Bosco a tough game at home. St. John Bosco’s hope for an undefeated season ended early with a loss against the nation’s #1 Bishop Gorman Gaels, but they are on 18 game winning streak against other California teams. How these teams continue to win isn’t too different. Both teams have a Junior running back that is putting up massive big numbers! 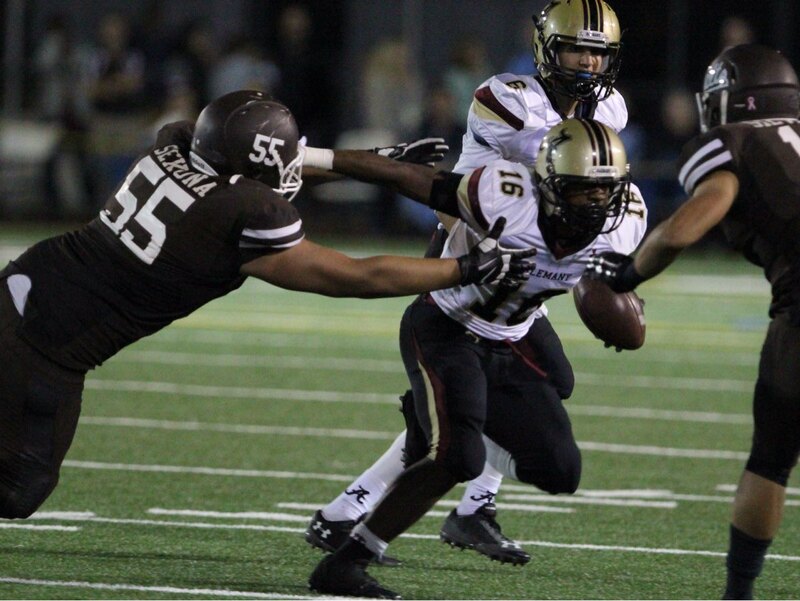 JSerra’s rusher, Edward Vander, has reached over 900 rushing yards and totaled 17 touchdowns in the first six games. Vander is putting up an impressive 10 yards per carry and over 150 yards per game. 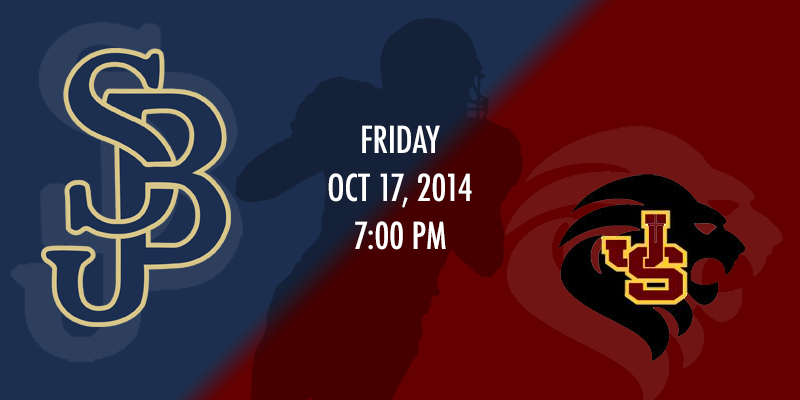 In order to win, the Bosco Braves will need to find a way to slow this Lion down. On the other side of the field, Junior Sean Mcgrew is coming off his best game of the season posting 119 yards and a touchdown in the Braves’ win against the then #1 Mater Dei squad. While he’s been given the rock over 14 times a game and averages just over 100 yards per game. While Mcgrew’s work is impressive, his biggest importance comes in balancing out the dangerous Braves’ offense. The X-factor: Prolific St. John Bosco quarterback Josh Rosen. Rosen, a UCLA commit, is the highest ranked QB and number 2 on the Rivals250. He is regarded as one of the most polished offensive players in high school football right now and has kept his Braves competitive in every game that he is under center. Rosen spreads the ball around to an impressive upper-class led receiving core where nine different players have receiving touchdowns. In order for the JSerra Lions to win this game, they will need to pressure Rosen early and contain the receiving group. Will they be able to keep their undefeated season alive or will the Braves streak against California based teams continue? We are excited to see! If you’re at the game, make sure to share pictures for fans everywhere! As part of our effort to ensure users have the best high school sports coverage, we are sharing articles from the media partners who use ScoreStream for their local youth sports coverage. Make sure to follow all of our partners as they provide the most in-depth, exciting coverage for high school sports. Make sure you follow Fox Sports West (Twitter- @FoxSportsWest) as the provide the most exciting coverage for CIF-SS area California high school football. It has been an interesting few weeks in CIF-SS high school football action and our friends at Fox Sports West have been detailing all of the action. While ScoreStream was capturing the real-time scores for the CIF-SS area, Fox Sports West was breaking down the action and ranking the teams. There have been some big games, but here are the standings! To see the rest of the Fox Sports West Top 20 CID-SS high school football rankings, click here! Our partners at Fox Sports West captured the top plays from Friday night California high school football as they were happening. While ScoreStream was capturing the real-time scores, Fox Sports West was collecting great plays from the intense matchups that were happening. As part of our effort to ensure users have the best high school sports coverage, we are sharing articles from the media partners who use ScoreStream for their local youth sports coverage. Make sure to follow Fox40 (Twitter- @Fox40) as they provide the most in-depth, exciting coverage for high school sports in the Sacramento, California area. To catch the Subway Final Quarter’s Top 4 Plays of Week 4, click here. As part of our effort to ensure users have the best high school sports coverage, we are sharing articles from the media partners who use ScoreStream for their local youth sports coverage. Make sure to follow all of our partners as they provide the most in-depth, exciting coverage for high school sports. Subway partners with our friends at Fox40 to highlight to top Sac Joaquin Section high school football plays of the game. There’s no better way to kick of Thursday football action than with some California high school football highlights. To catch the Subway Final Quarter’s Top 4 Plays of Week 2, click here.